Inspired by nature, now you can make your own faux agate and geode jewelry. No one will believe you made it from shrink film! Color in your pre-printed, pre-cut designs bake them in your oven and watch them shrink shrink shrink like magic! Create your own faux agate and geode jewelry! Shrink fun Geode jewelry is just my style! 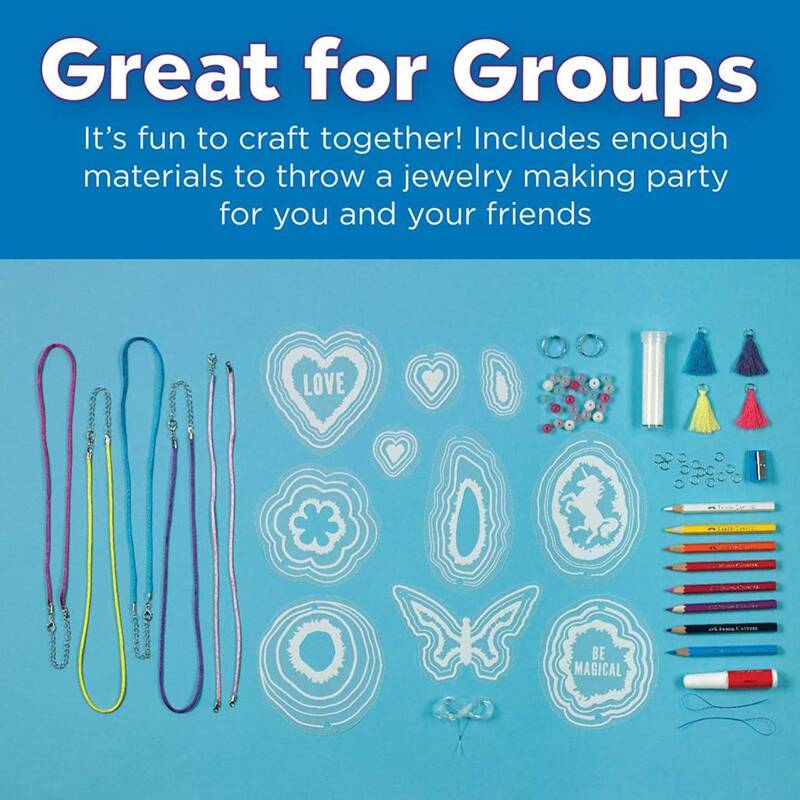 This jewelry making kit makes 8 unique jewelry pieces perfect to wear or share with friends. 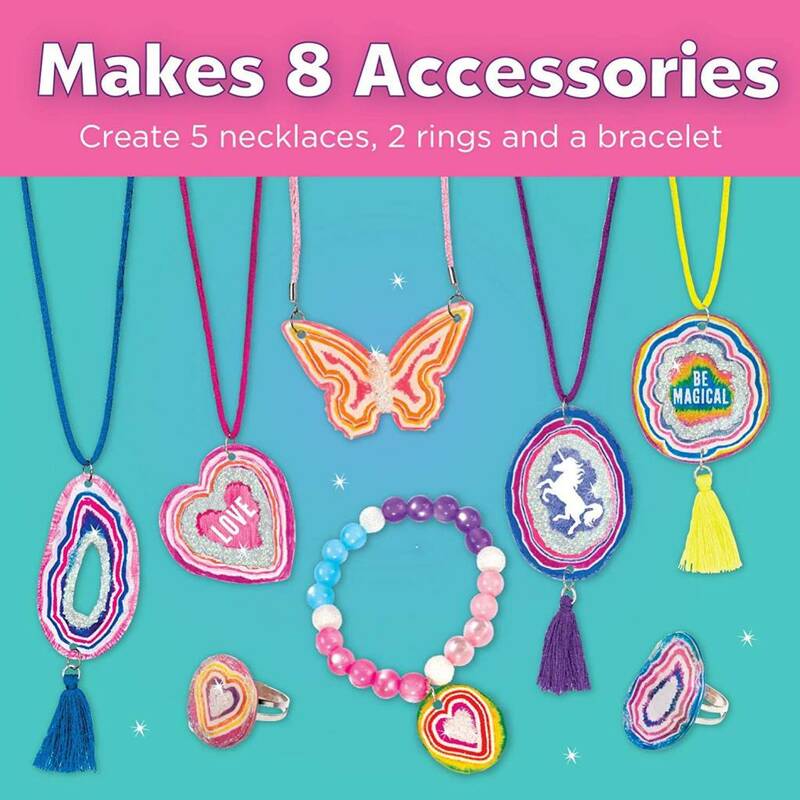 This jewelry making kit Comes with everything you need to create, bake and wear 8 accessories. 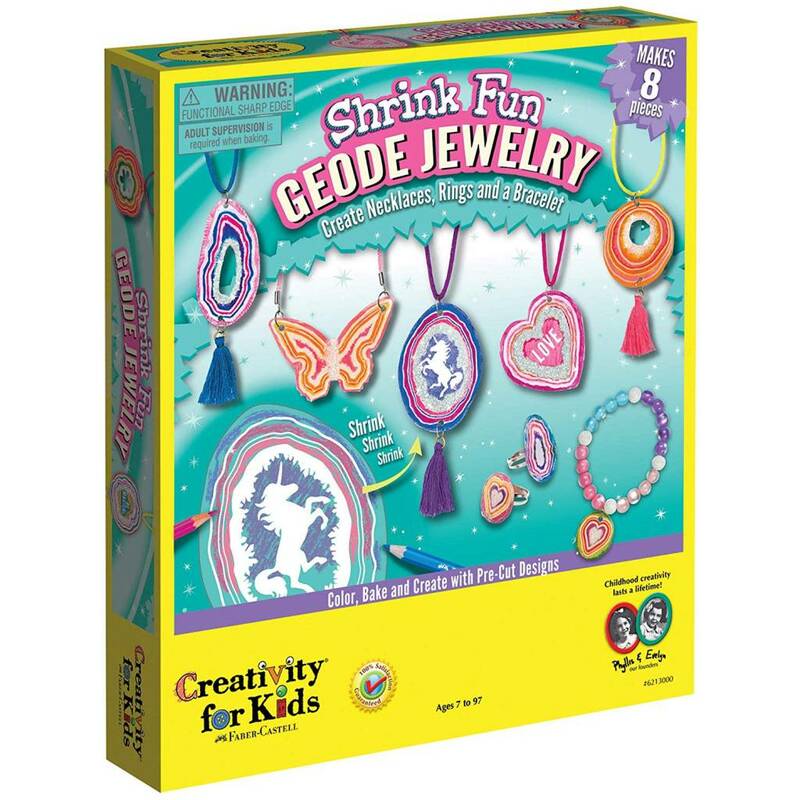 The Shrink Fun Geode jewelry making kit includes 10 pre-cut shrink film designs, colored pencils, colorful tassels and satin cord, glue and a variety of jewelry findings and beads for crafting a cool fashion forward jewelry piece. 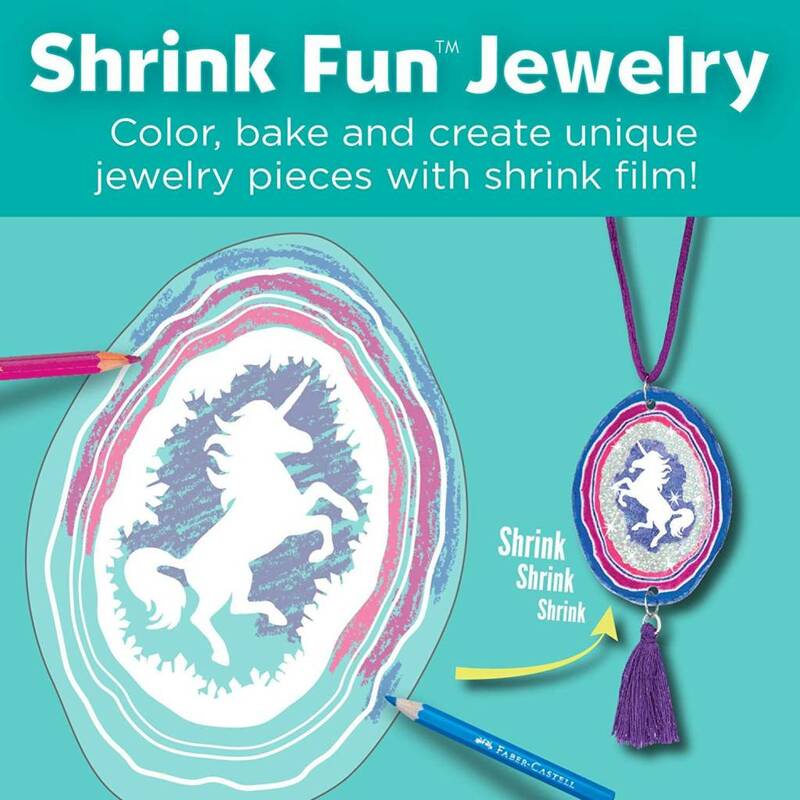 Color in your pre-printed, pre-cut shrinky designs, bake them in the oven and watch them shrink like magic! Adult supervision required when baking shrink film. Create unique, on-trend designs that are just your style! Faux agate designs feature a unicorn, hearts, butterflies and other classic craft designs, perfect for the beginner jewelry maker! 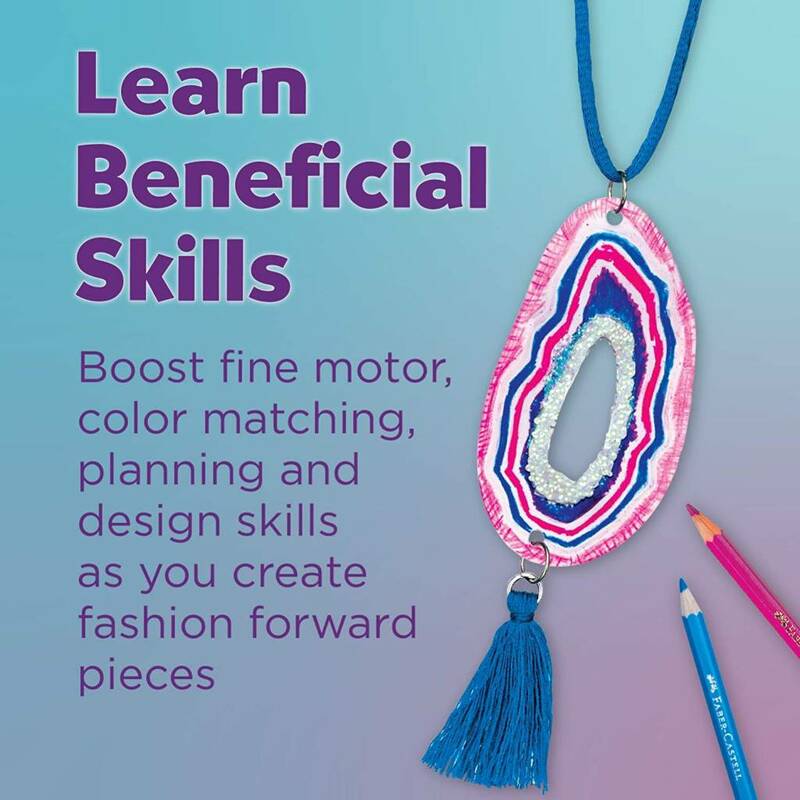 Creating custom jewelry is a great activity to boost fine motor and color matching skills. 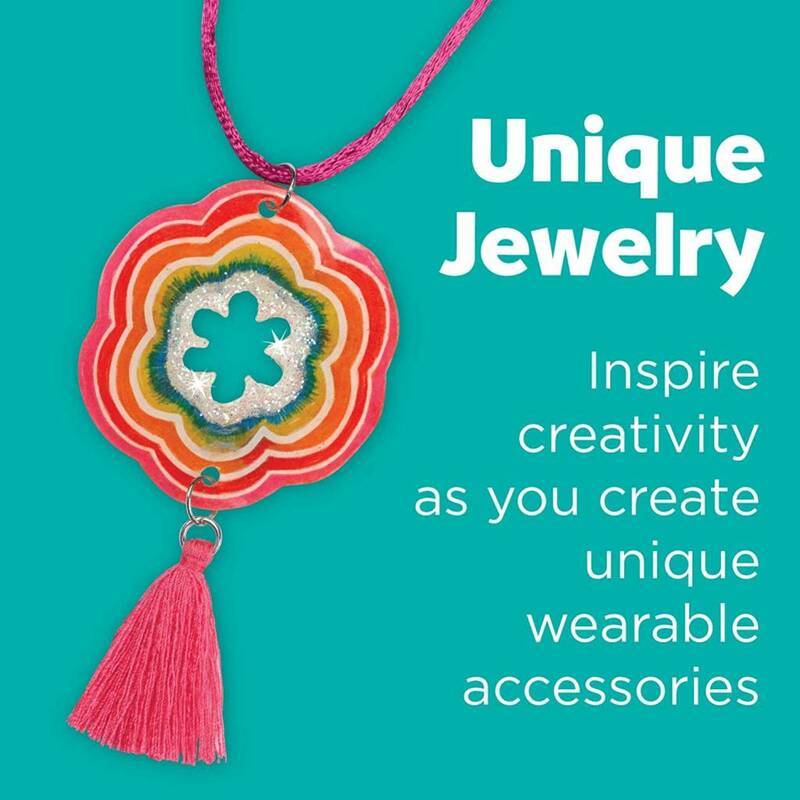 Jewelry making is a great way to express yourself and build confidence by showing off your handmade jewelry that was entirely made by you! 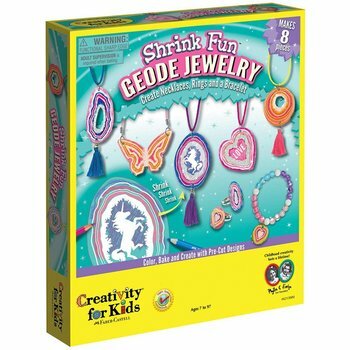 The Creativity for Kids Shrink Fun Agate Jewelry Making Kit features non-toxic and kid friendly arts and craft materials recommended for ages 7 - 97. . Since 1976, Creativity for Kids has proudly created kid-safe, non-toxic and innovative craft kits designed to unleash your creativity.